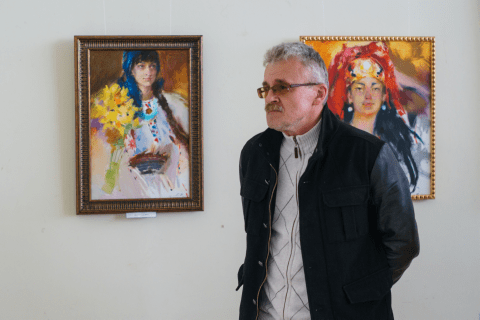 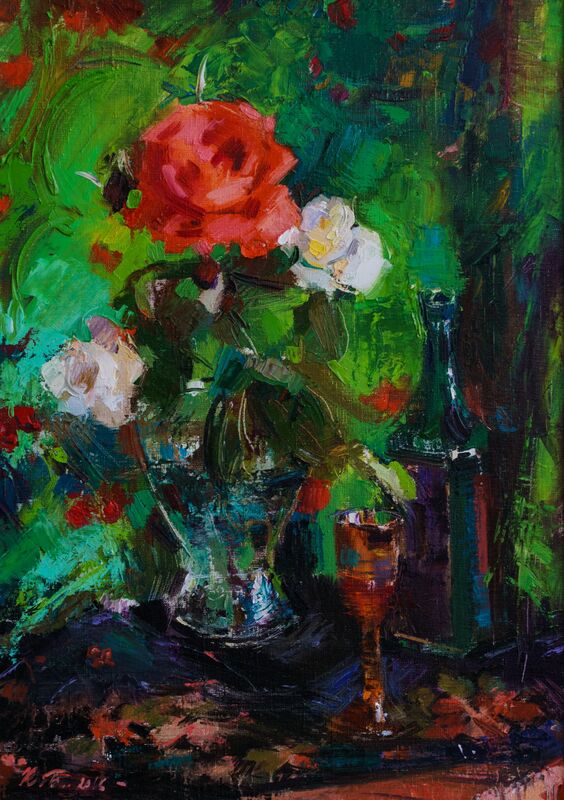 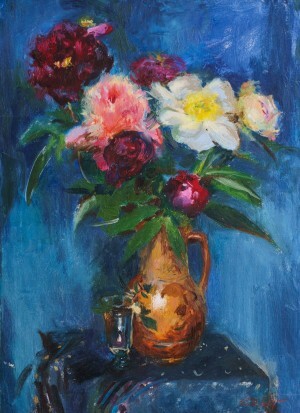 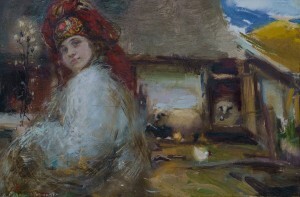 On April 12, 2017 in Uzhhorod, the Regional Museum of Architecture and Rural Life hosted the painting exhibition of Odesa artist Kateryna Biletina. 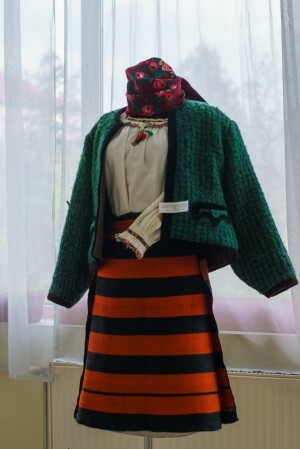 Mrs. Biletina has been in the Carpathians not for the first time – she was a participant of plein-airs in Pylypets and Slavsk. The exposition of 26 canvases presented the main art capture and the main way of art expression of the author. 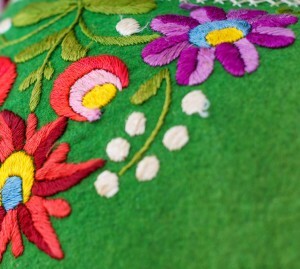 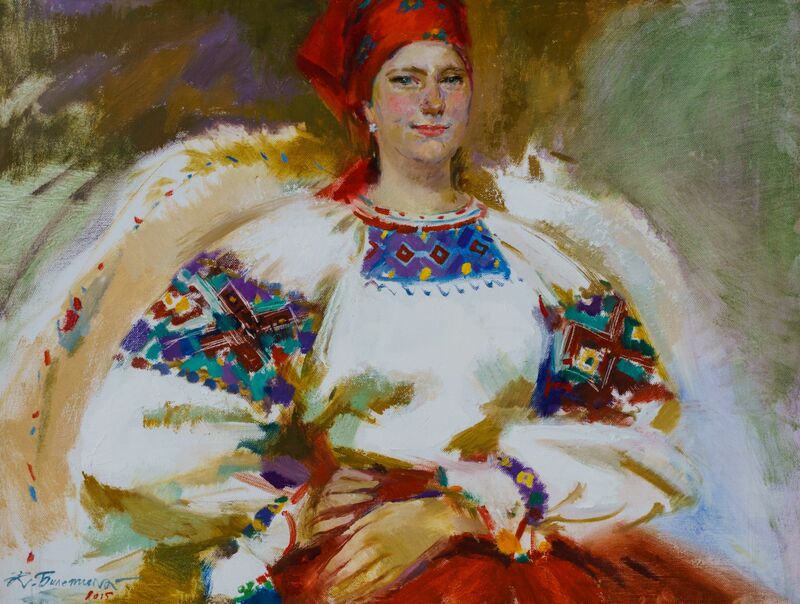 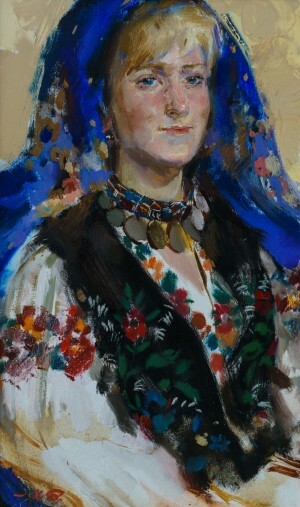 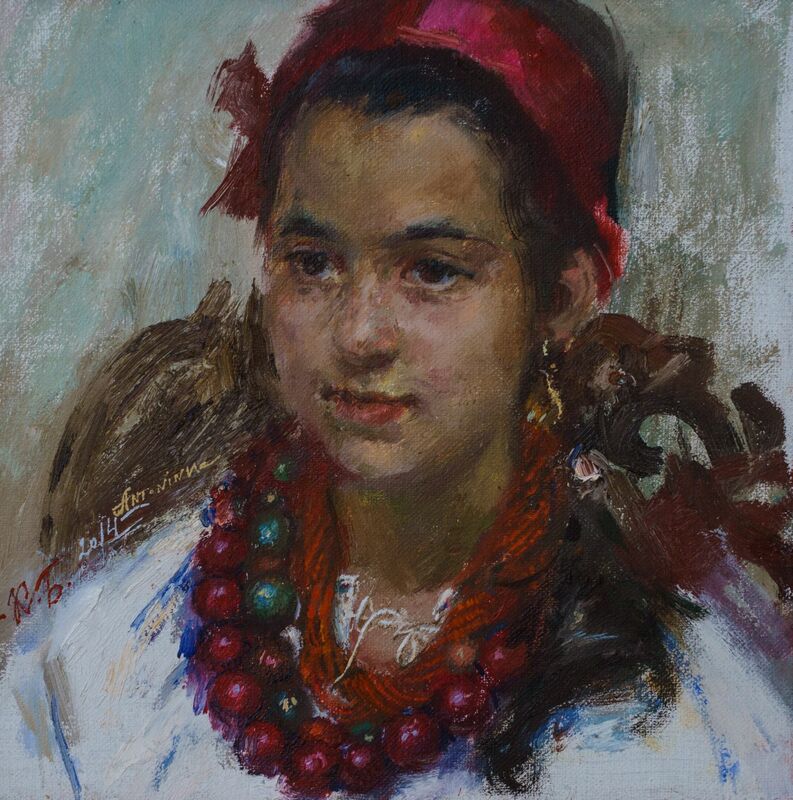 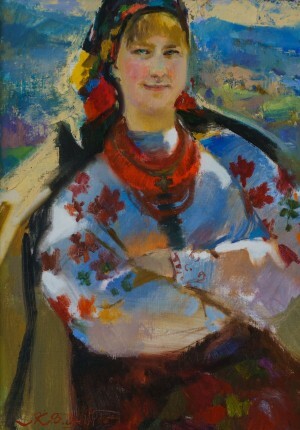 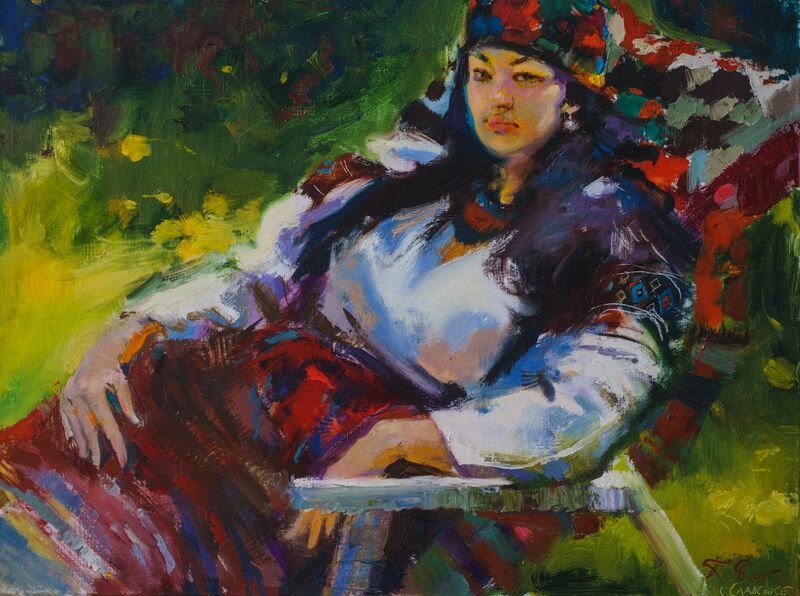 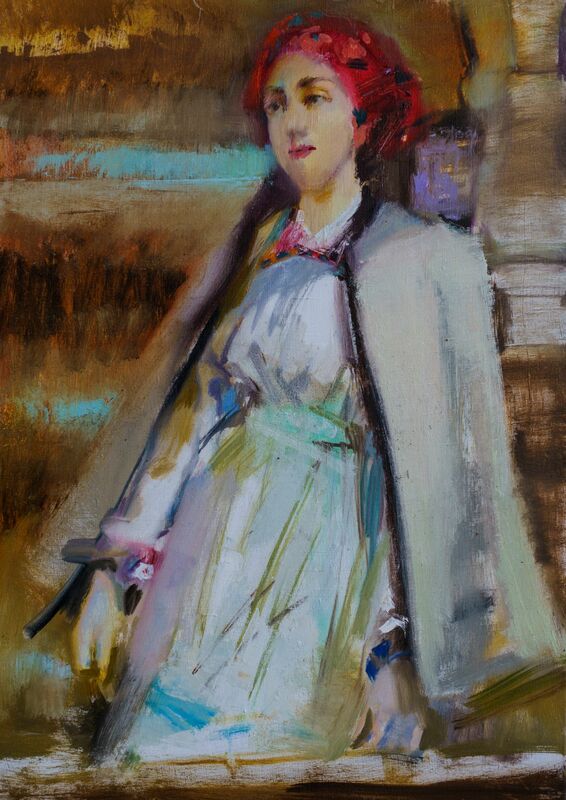 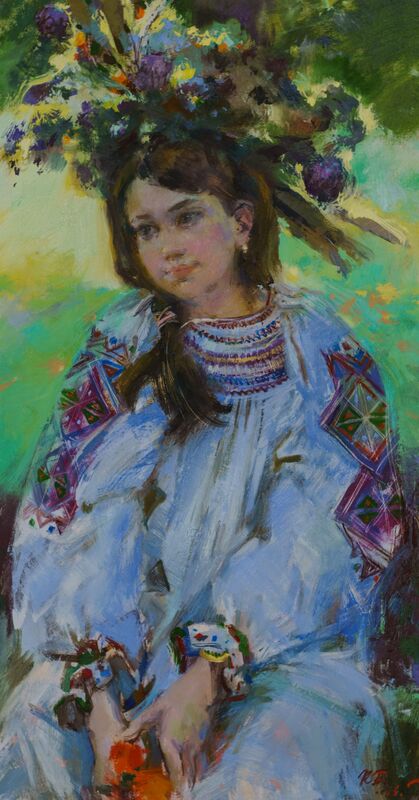 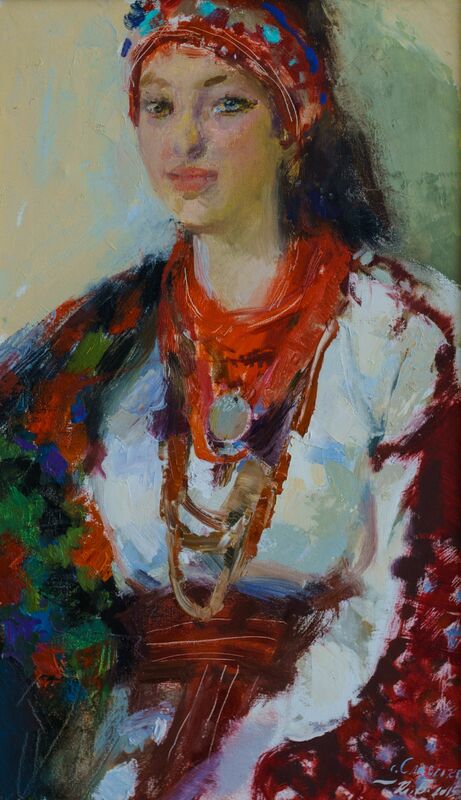 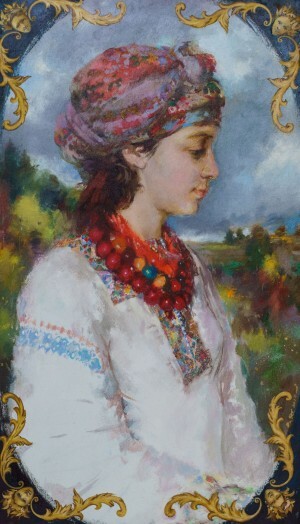 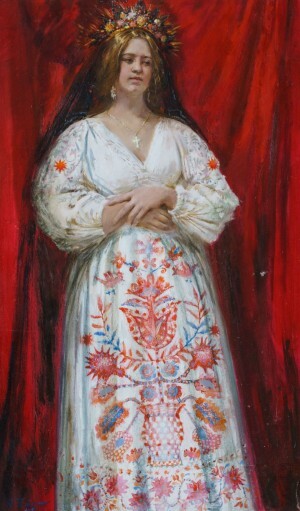 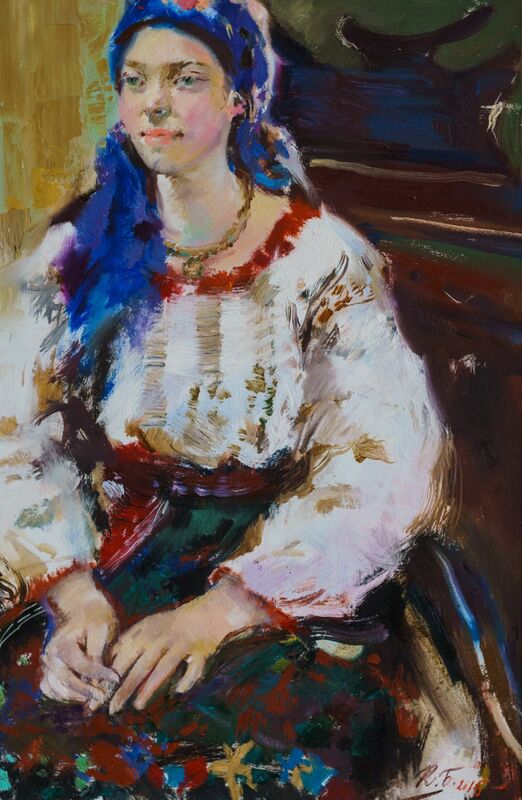 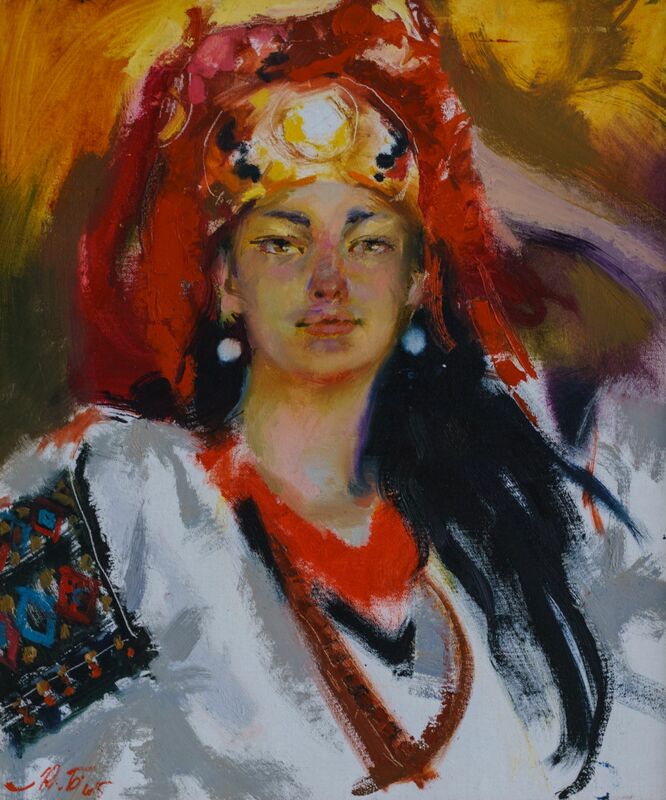 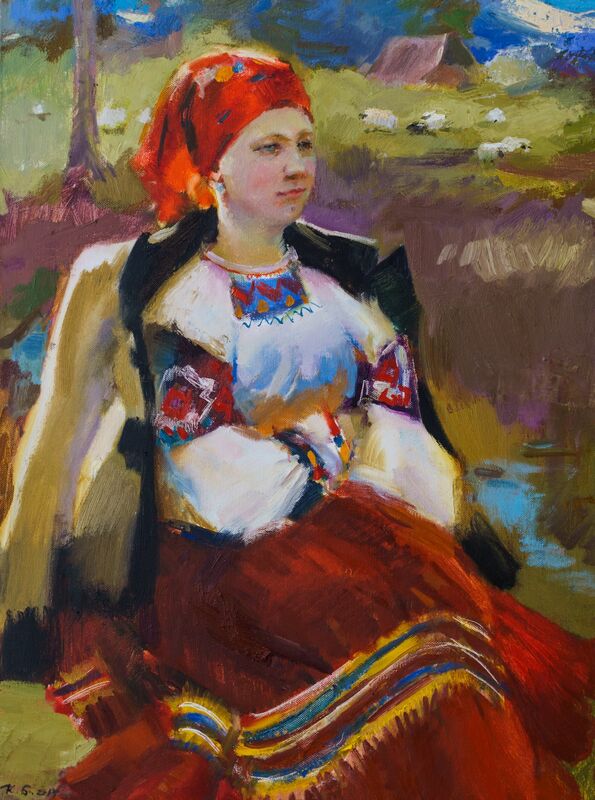 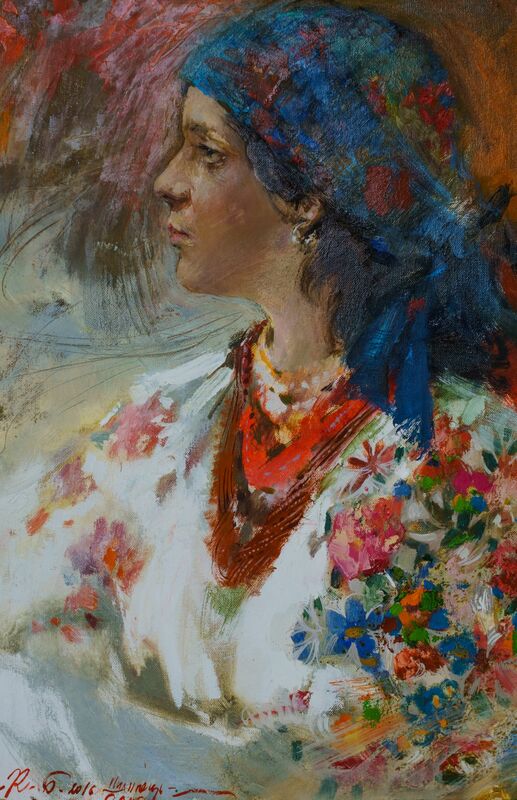 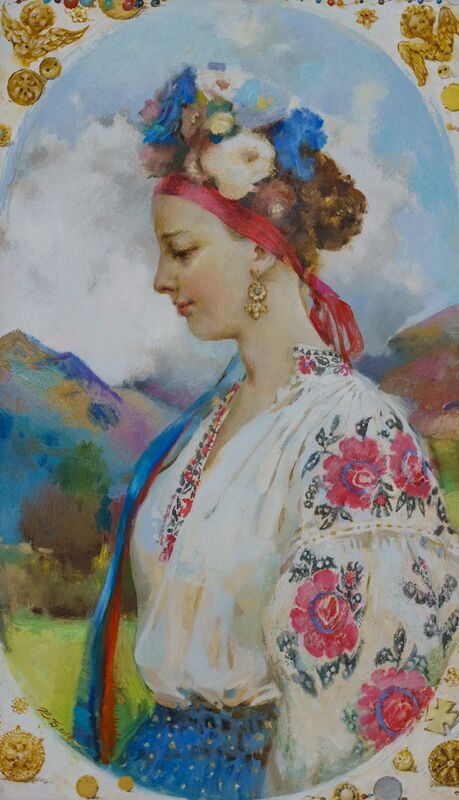 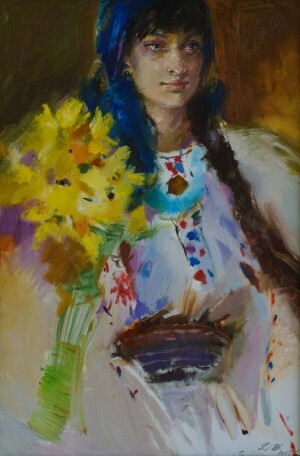 The artist fell in love with the beauty of the women's folk costume and dared to recapture her admiration by paints. The exhibition gives the impression of colour luxury: masterful dabs create colourful richness, a graceful play of colours, shades, and at the same time transfer very precisely the character of each embroidery and each attribute of clothes. 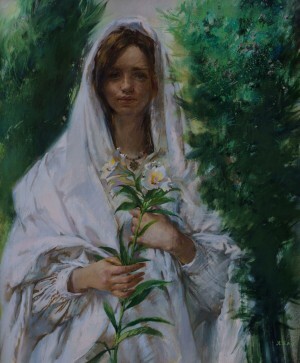 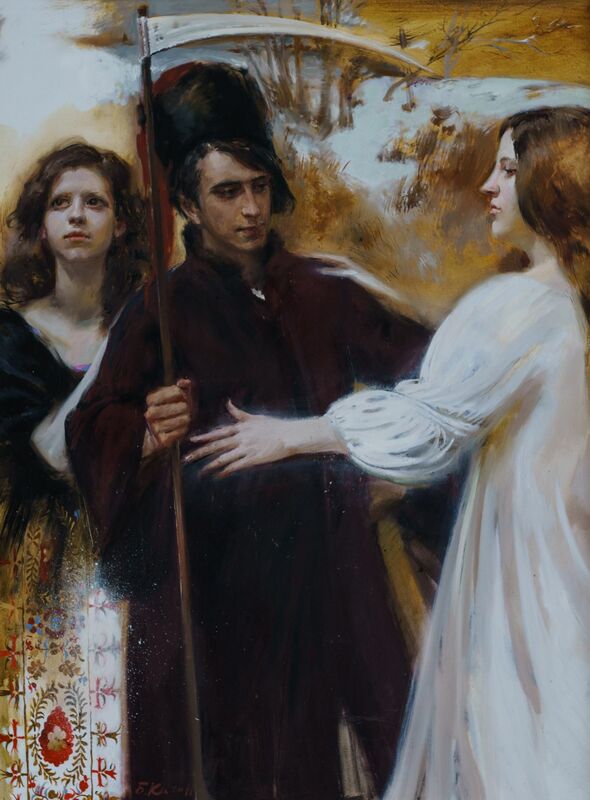 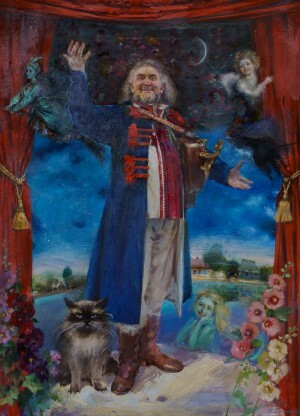 The portrait part is executed very masterfully in the tradition of Odesa painting. 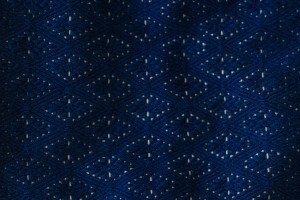 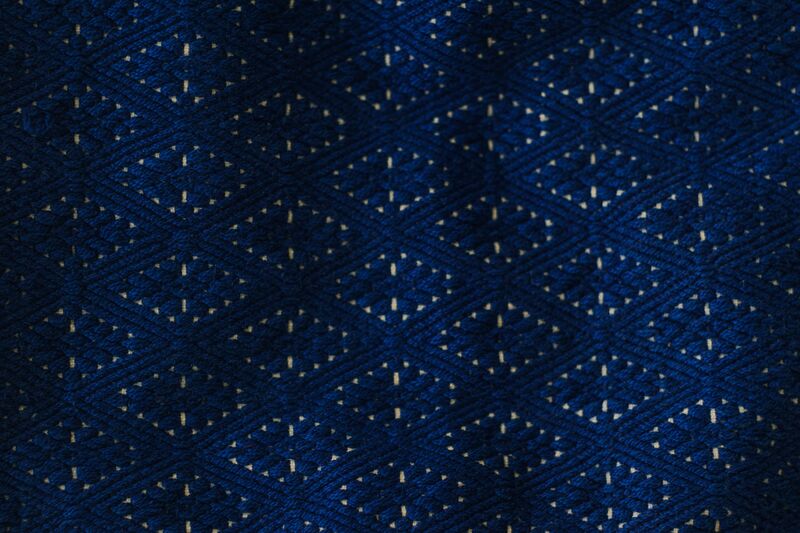 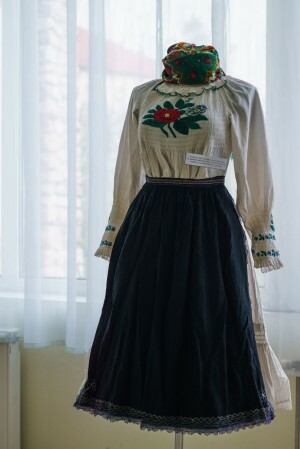 Even when the particular persons are represented, concretized also by names in signatures, there is an impression of the certain averaging of the characters, designed to represent first of all in finite in meanings and variability beauty of national clothes. It was also interesting to see the Carpathian landscapes interpreted by Odesa artist. 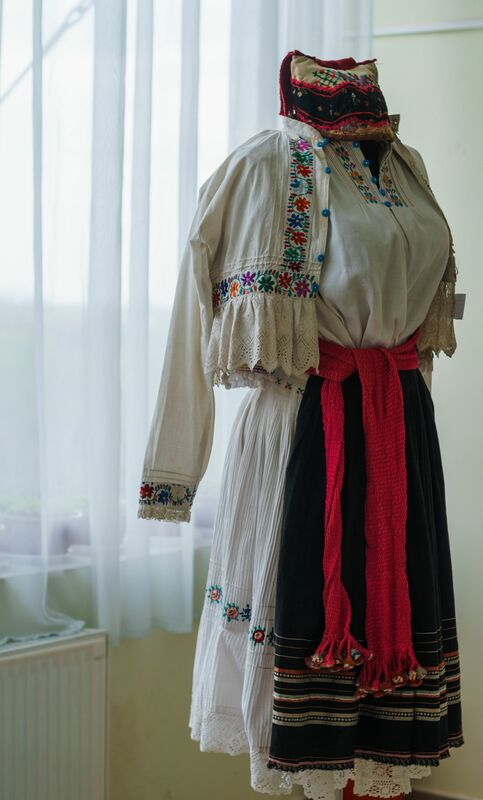 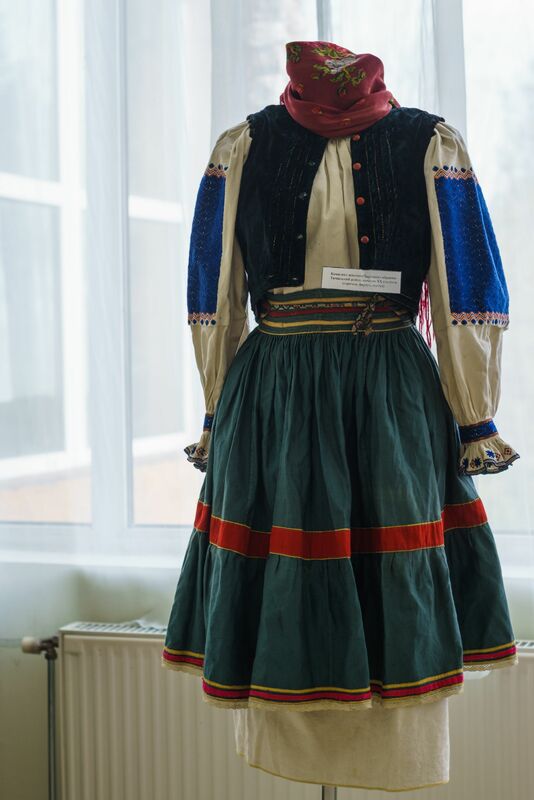 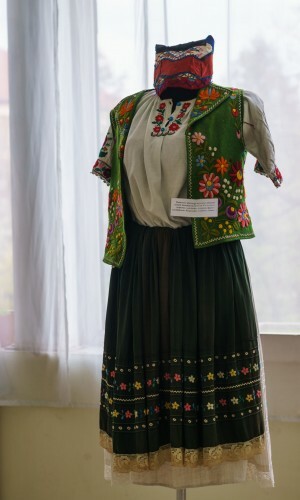 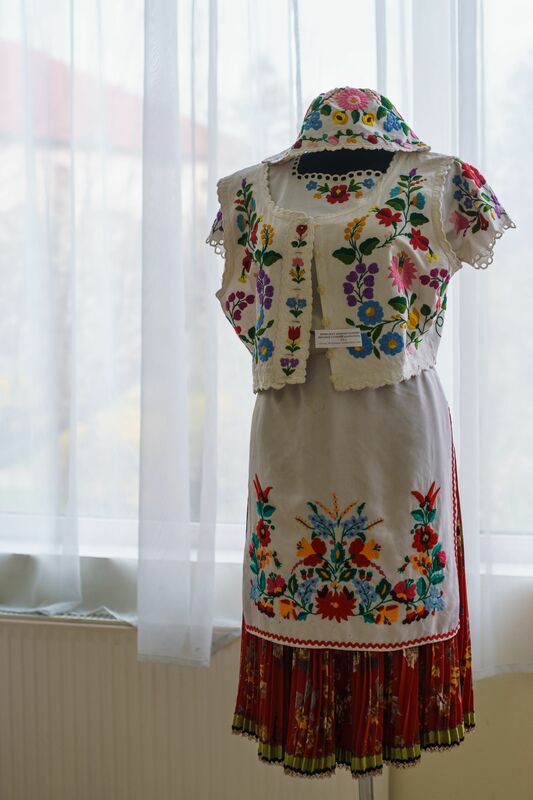 The opening of the exhibition was preceded by the presentation of two publications – an album of Biletina’s works and a set of postcards on which with the same love as in pictures, but documentary, the artist reproduced national clothes of different regions of Ukraine.